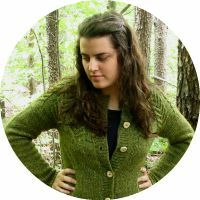 Wool and Wheel: A little trip (and a big yarn haul). First of all, I have to say that I'm not one of those girls who loves to shop. I could care less about buying clothes and accessories and things like that. 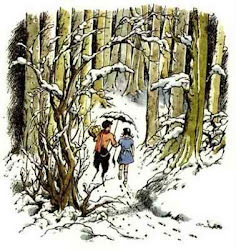 I do like hunting around thrift stores, and of course, I love to shop for books (and movies). But for my birthday, I wanted to go crafty shopping. 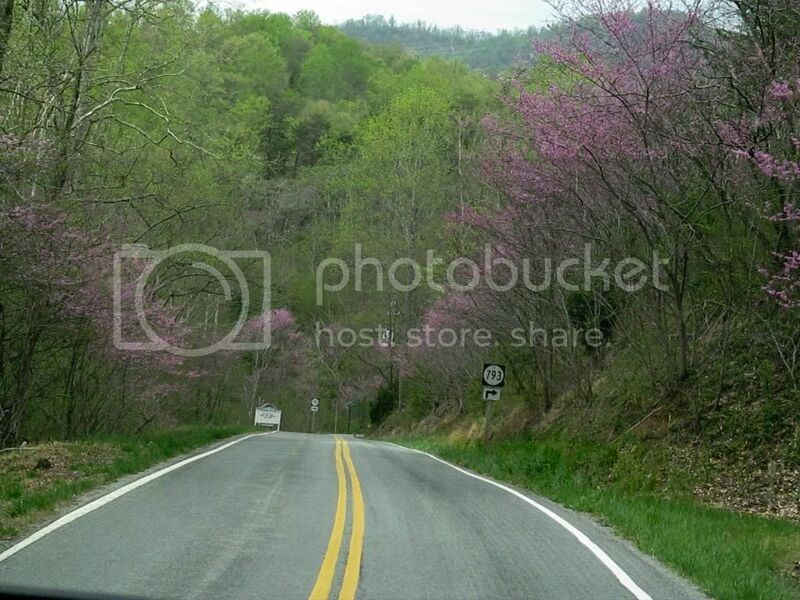 :) And the best place I could think of to go crafty shopping was the little town of Floyd. So we took a little day trip yesterday. 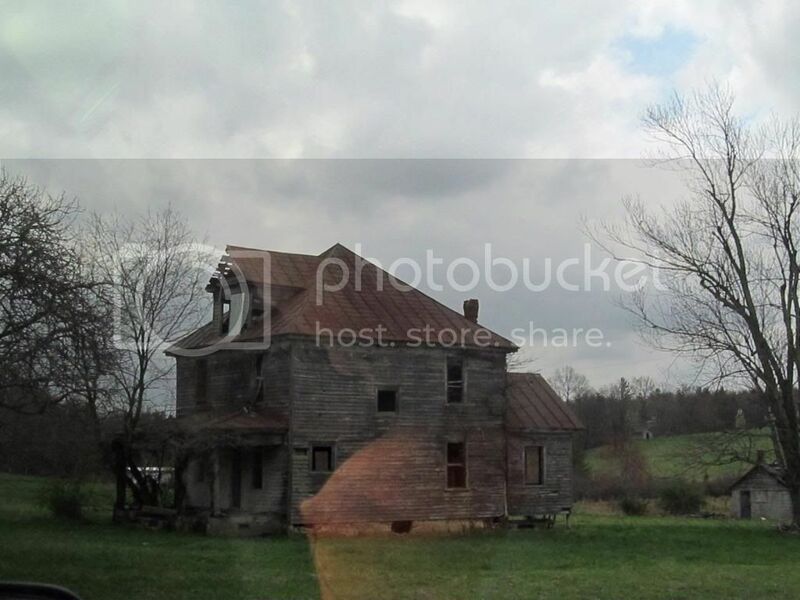 Excuse the glare...but I loved this abandoned old house. It looked like something from a movie. Before we headed to Floyd, we stopped in Rocky Mount. There's a yarn shop there called The Crooked Stitch. Last fall when we went to the folklife festival, we came home through Rocky Mount and I saw this yarn store. But unfortunately, I'd already spent my money at the festival so we didn't stop in. So I was very excited about stopping by this time. It's a lovely store, and they sell yarn and fabric (two of my favorite things) and all sorts of other supplies. 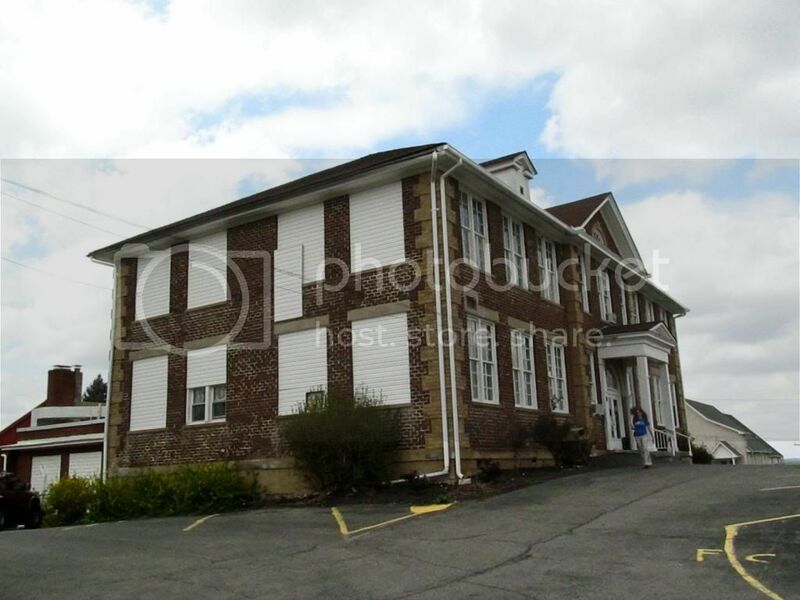 Our town doesn't have a yarn store...we only have Hobby Lobby. 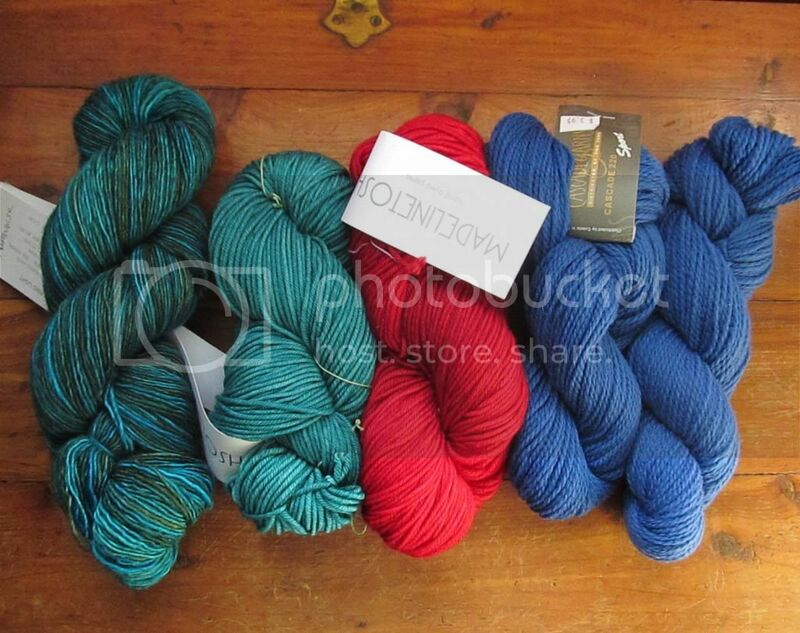 And of course, I love HL, but local yarn stores are so much better. I was overwhelmed with all of the beautiful yarn. 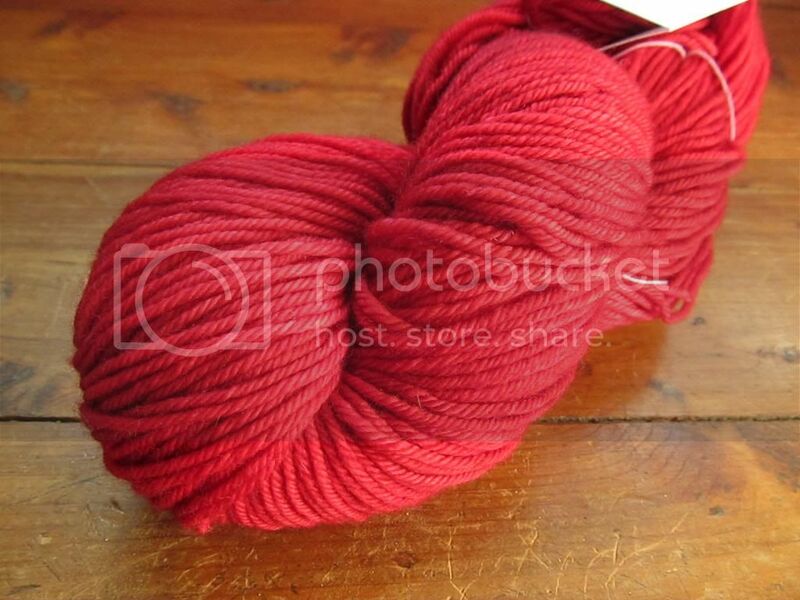 I bought one skein of Tosh DK, in this pretty red color (none of these photos even begin to do the colors justice). 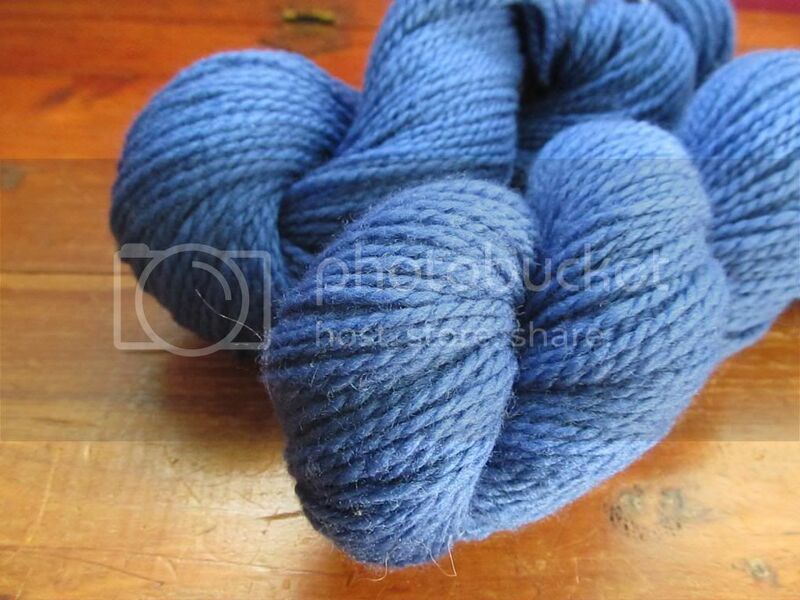 I'm planning on using this for a pair of fingerless gloves...I've had my eye on a certain Ravelry pattern for a while. 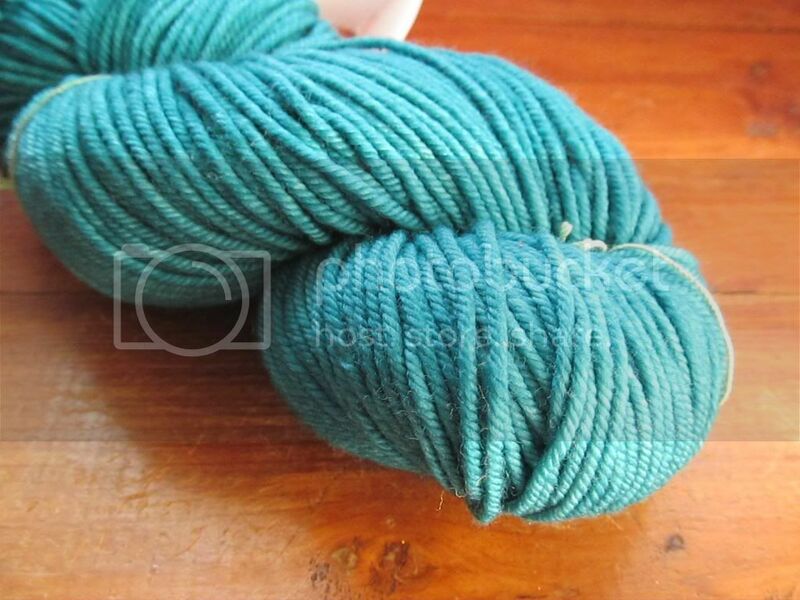 I also got one of Tosh Vintage, in a dark blueish teal color (Kelp, according to the label). I don't have plans for this one yet. :) It's so much darker and richer than the photo! 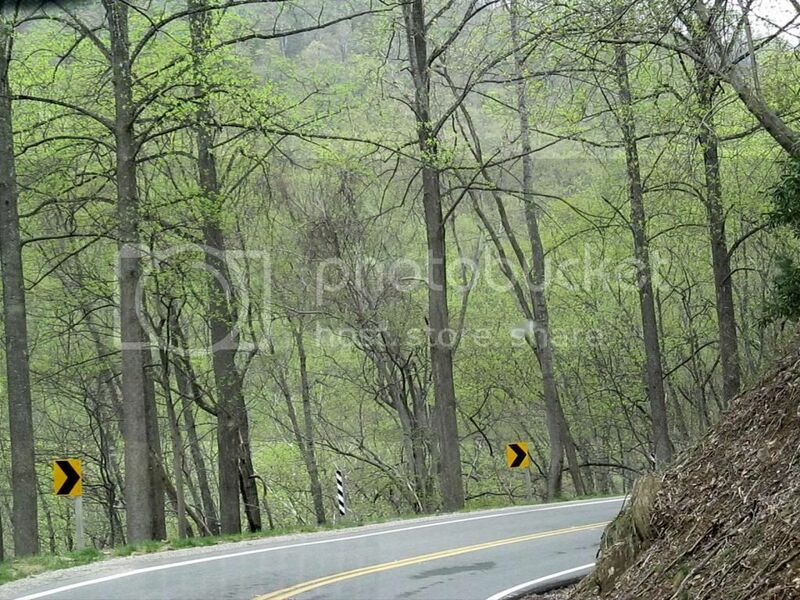 We stopped and ate lunch at Tuggle's Gap first. 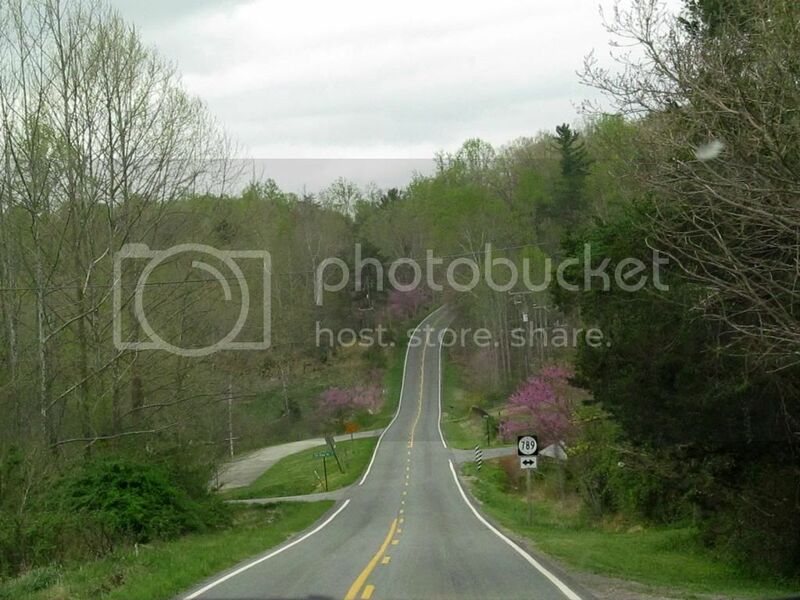 My dad had to go to a farm outside of Floyd and get some organic fertilizer, so after that we came back into Floyd. 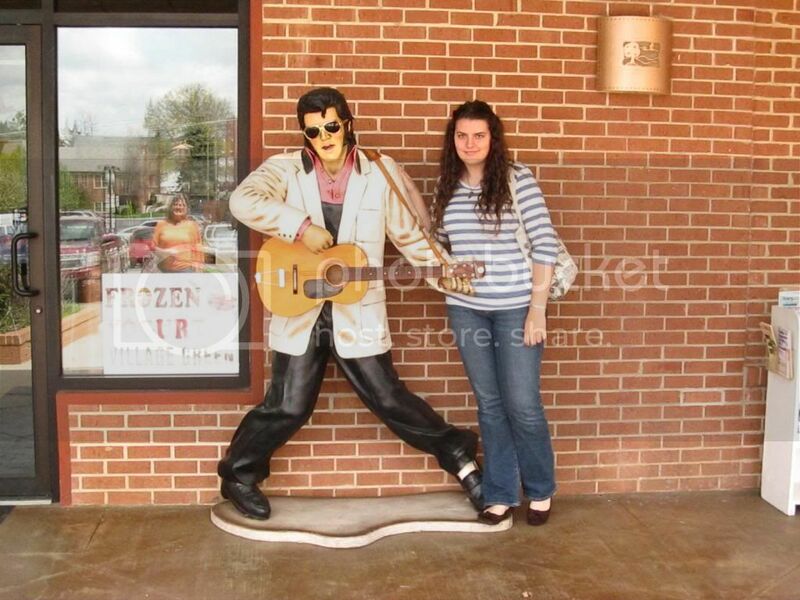 Did I mention that I met Elvis there? 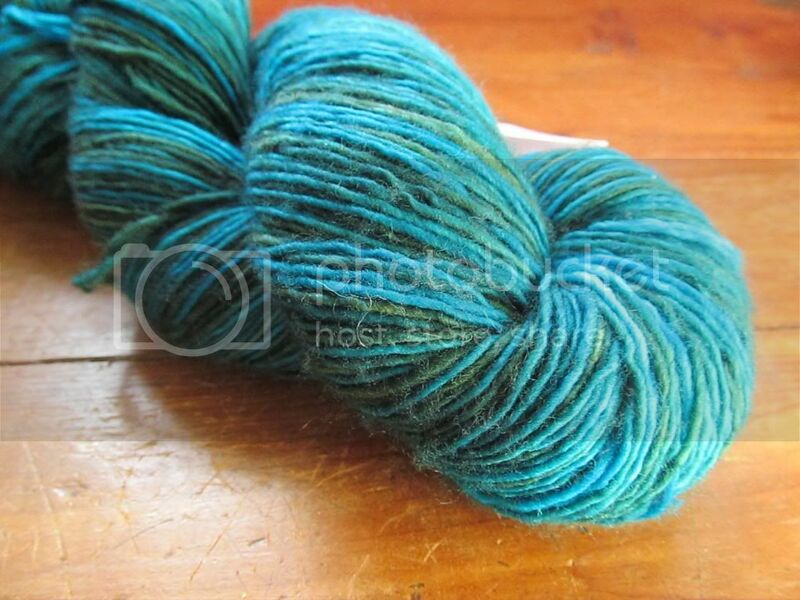 And I got two skeins of this Cascade 220 Sport. It looks TARDIS blue, and that's why I bought it. 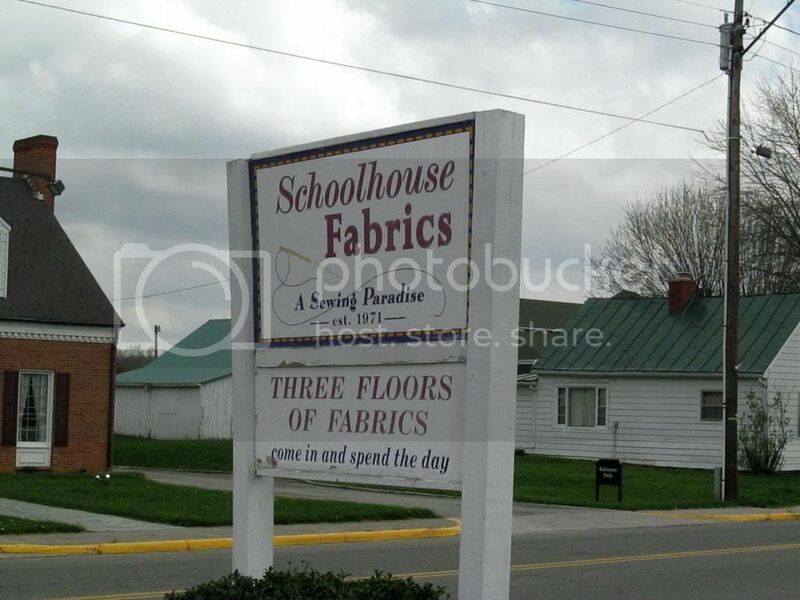 Of course, we had to stop at Schoolhouse Fabrics in Floyd. Three floors of novelty cottons, fleece, knits, wedding fabrics, buttons, notions, etc. It's crazy. I only bought a tiny bit of fabric here. 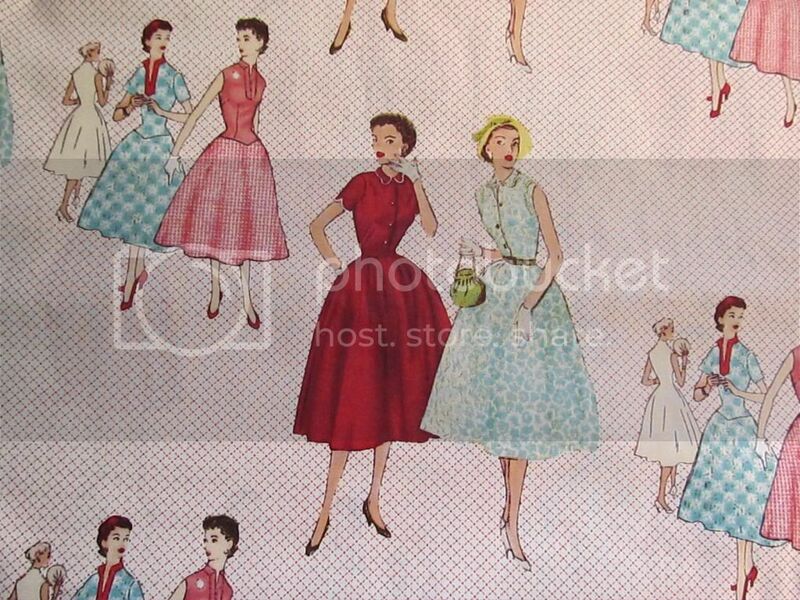 A yard of this vintage fashion cotton print. 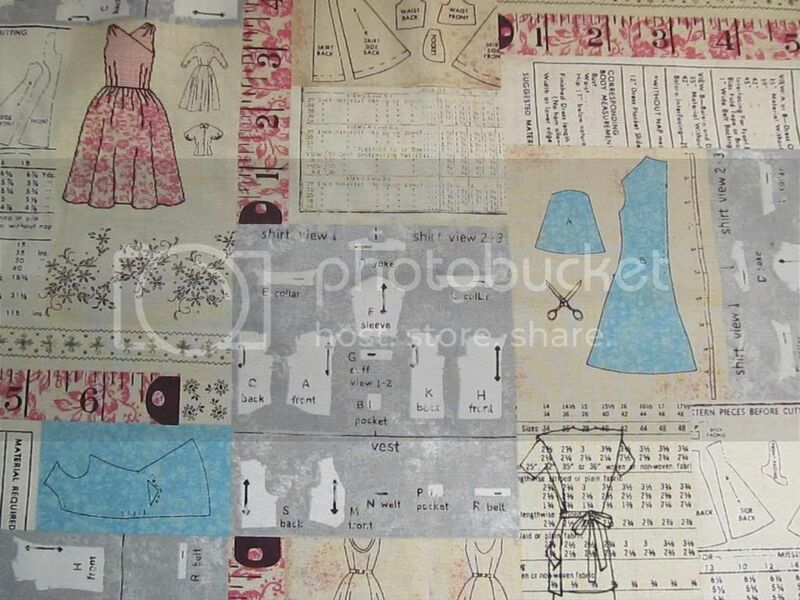 And a half yard of this coordinating print. I'm such a nerd- so many of my favorite novelty prints are sewing-related. 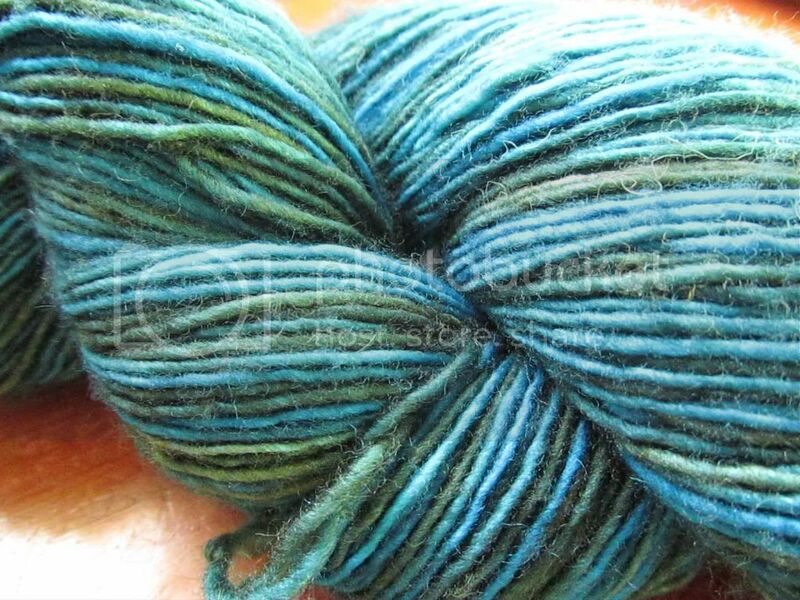 And that yarn is gorgeous! Such bright and beautiful colors. My mom and I just got back from a weekend trip to a "big city" where I did some fun craft related shopping - something I rarely get to do because of our remote location. I think it's funny that I also purchased a doll needle for the first time, AND that I went to a yarn shop and spent quite a bit of money there too (yarn is just so gorgeous... *sigh*). What are the odds, huh? Your purchases are beautiful!